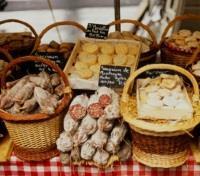 Explore a Parisian food market with a private guide, tasting local specialties as you go. Join a wine expert for a private tasting in his 17th-century cellar. 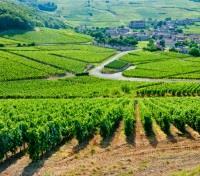 Compare the flavor notes of Burgundy’s best wines at a private tasting. 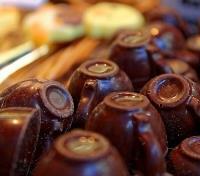 Discover the gourmet pleasures of Lyon on a private walking tour. 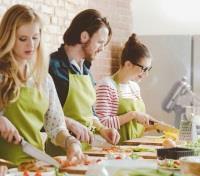 Try your hand at Lyonnais cuisine at a chef-led cooking class. “French cuisine” has no precise definition — its ingredients and flavors are as varied and unique as the regions that have birthed them — which is exactly why France remains the true gastronome’s first love. The national menu is as extensive as it is exquisite. 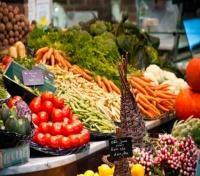 With its romantic allure, dozens of markets overflowing with produce from the country’s four corners and over 130 Michelin stars spread among its 9,000 restaurants, Paris boasts more than enough variety to keep even the most discerning foodie occupied for several lifetimes. But there’s more beyond the big city; easygoing Beaune captivates wine lovers with its dry reds and flinty whites, and Lyon’s lively bouchons serve up hearty fare and friendly atmosphere. This premium gastro-centric tour offers a chef’s selection of all three. For your added comfort, a Meet & Greet assistant will be waiting for you outside of airport customs, holding a sign with your name on it. They will help you to co-ordinate meeting up with your private driver and accompany you to your accommodation. 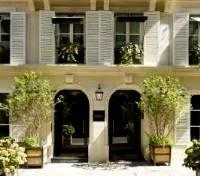 A haven of peace, intimacy is the sole identity of Le Saint, a deluxe hotel in Paris' peaceful Saint-Germain-des-Pre´s quarter, combining classic Parisian style and discretion, with the charming surroundings of this legendary neighborhood. Behind the fine Haussmanian facade of a private mansion, Hotel Le Saint is hidden away on the quiet sunny street of Prés-aux-Clercs, harbored from the city bustle. 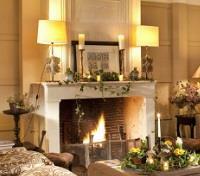 Neither a boutique hotel nor a palace, Le Saint is simply a place where every detail inspires comfort. Each of the 54 rooms and suites create an environment where classic meets modern, and where one immediately feels at home. An on-site restaurant and bar, and a spa and wellness center provide additional comforts for discerning guests. Depart from your hotel on foot with your private guide, setting out on a walking tour to explore the old Les Halles market district, renowned for having been the site of the central Paris food market for hundreds of years. To this day, this quarter is home to a variety of specialist food purveyors and culinary equipment stores, and even Paris’ oldest pâtisserie. 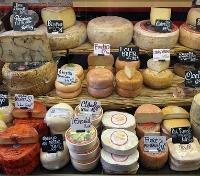 With your guide, saunter through a typical Parisian street market, making stops along the way at some excellent specialty shops to taste a variety of sweet and savory items, including cheese, pastries, chocolate, and more. While multiple tastings will be provided for you along the walk, you're also more than welcome to buy your own additional treats along the way too, as you uncover the taste of Paris! Please note, depending on the date, this tour could be shifted to take place in the Latin Quarter or the Madeleine area, to accommodate for the best open market. Enjoy a gourmet evening as you dine at Restaurant 58 on the first floor of the Eiffel Tower, offering marvelous views across Paris. Your meal includes a lift ticket, privileged seating, a glass of champagne, a 3-course dinner menu, and select wine, mineral water, and coffee. 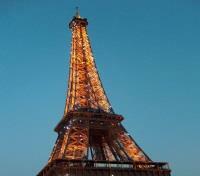 Please speak with your Destination Expert if you would like to have private transfers arranged for dinner. Meet your private driver and vehicle setting out for a private wine tasting with Lionel Michelin, wine expert and vintages collector. He will host you in his 17th century cellar, a mythical site where the famous wine merchant Jean-Baptiste Besse settled in the early 30’s. This cellar has received amateur wine enthusiasts from all over the world for over 50 years, including Hemingway and Ustinov. 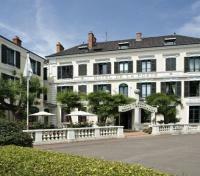 Revisions were made to Lionel Michelin's property in 2004, inspired by De Vinis Illustribus. The final product was an amazing collaboration of history and passion, transforming this special location into a wine connoisseurs dream. 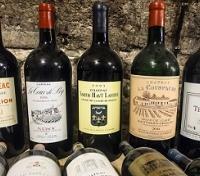 The first basement cellar is a place where the greatest bottles are stored. The second basement cellar, which was built in 1636, is especially dedicated to old vintage wines ranging over more than a century. Your exclusive wine tasting will be conducted in English by the owner Lionel Michelin himself. He will share with you his passion for enology and analyze and comment on each wine: region, varietal, characteristics, evolution and harmony with served dishes. You'll also enjoy an included lunch, selected according to the wines, including top-quality gourmet products like foie gras, cooked meats, smoked salmon, fine cheeses and pastries. Afterward, you'll transfer back to your hotel. 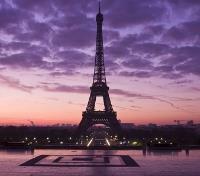 Depart by train from Paris to Beaune. Approximate travel time is 3.5 hours. 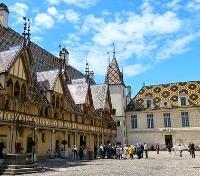 Set out on foot with a private guide to explore the medieval town of Beaune. Two hours will give you a brilliant overview, spotting the signature Burgundian tile roofs of the old town most prominently featured on the 15th century Hospices de Beaune, also known as the Hotel-Dieu. Stroll past the old market and the clock tower, see the intact half of the town's medieval ramparts, and admire the church of Notre Dame. While the town is surrounded by some of the most famous vineyards in the world, the historic core of Beaune is its own unique treasure. 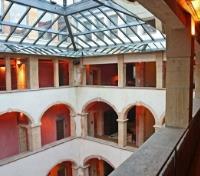 The charming Najeti Hotel de la Poste is located in the heart of Beaune, gateway to the wine-growing region of Burgundy. This prestigious establishment, a former post house in a magnificently picturesque building, offers 36 individually styled rooms and suites, and a restaurant which perpetuates the Burgundy tradition of hospitality, good food, and great wines. Located near the cobbled streets, traditional houses and ramparts of Beaune's historic city center, as well as the Hospices de Beaune, a superb example of 15th-century Gothic architecture, Najeti Hotel de la Poste is ideally situated for a discovery of Beaune and the surrounding wine region of Burgundy. Experience the very best of Burgundy, discovering the wines and villages of the Cote de Beaune and Cotes de Nuits on a full day excursion with a private wine expert, tasting 16 top wines of the region. Keeping with the spirit of the very best, you'll be picked up by your driver-guide in a luxury vehicle, before setting out to experience the region. Enjoy three private wine tastings at three authentic estates, sampling a great selection of Burgundy's best wines, including 8 Grand Crus, epitomizing the best of the best. Witness Burgundy's Champs Elysees, and the villages of the Cote de Nuits as they are revealed one by one along this legendary road. You will be given a welcome break in Vosne-Romanée outside the Romanee-Conti estate, before taking a detour via the Clos de Tart, admiring stunning views toward the Chateau of Clos de Vougeot, and the exceptional scenery of the Cote de Beaune. Visit the amazing Chateau de Pommard, exploring its wine cellars, and its wine museum and art gallery. Taste the very best of Burgundy during exceptional tastings at 3 authentic estates, gaining an understanding of these two legendary Cotes, and gradually grasping the essence of the Burgundy vineyards. 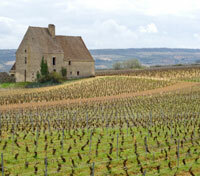 Let the terroir of these fine wines reveal the secrets of Burgundy before your eyes. 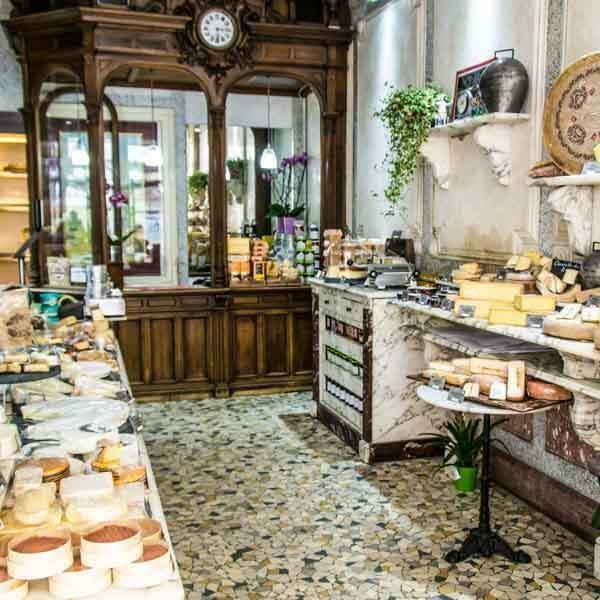 Make your way to a local cheese shop where you'll meet up with an expert chef-instructor, setting out on foot to enjoy a small group tour full of exploring, cooking and tasting. With no more than 10 participants, you'll enjoy an introduction to the delightful gastronomic culture of Burgundy as you visit a market in the heart of Beaune, followed by a hands-on cooking class in the chef's atelier. You'll walk to the famed local market to select the ingredients for today's cooking class, then make your way to the atelier kitchen where you'll don a crisp white apron, accompanied a glass of chilled Champagne. You'll prepare lunch together, a menu consists of seasonal and market-inspired artisanal food from regional producers, and learn classic Burgundian techniques you can use at home. After the cooking class, sit down in the dining room and enjoy a seven-course French lunch with table service, sophisticated and generous wine pairings exploring Burgundy's terroir, and a full cheese course, in celebration of the bounty of Burgundy and the meal you've created. Depart by train from Beaune to Lyon. 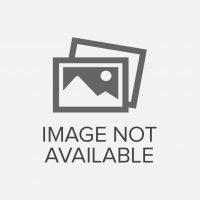 Approximate travel time is 1 hour and 45 minutes. Meet your private epicurean guide outside of Lyon's St. John's Cathedral, embarking on a half-day gourmet walking tour of the gastronomic capital of France. A medieval gem with a UNESCO World Heritage-listed Old Town, Lyon is also famous for its world-renowned chefs like the Méres Lyonnaise (the “Mothers of Lyon”) and local hero (and three-Michelin-star chef) Paul Bocuse. Your guide, a specialist in culinary history, will bring you through the most emblematic neighborhoods of Lyon's cuisine, taking you in to visit select shops and eateries along the way for a number of included samplings, allowing you to taste the best of the local specialties in town. Stroll past numerous historic monuments and medieval structures as you uncover the taste of Lyon, meandering from the Old Town on the banks of the Saône, to the Left Bank of the Rhone, via the Presqu'ile, concluding at Les Halles Paul Bocuse, the famous covered market. Nestled in the heart of Old Lyon, the luxury hotel Cour des Loges resembles a castle in a city whose architectural style recalls the Italian Renaissance. Bringing together four buildings from the 14th-17th centuries around a central courtyard, Cour des Loges offers a perfect blend of historic charm and modern comfort, and promises bespoke luxury for every guest who comes to discover the gastronomic capital of France. With food being such a central element of Lyon, it's no surprise that Cour des Loges features its own Michelin-starred restaurant, Les Loges, an ode to elegant cuisine offering gourmet delights in praise of seasonal flavors. A distinctive property with a prime location in the heart of the city, Cour des Loges is one of those special places that one will enjoy and remember, thanks to its ideal combination of lavish style, comfort and service. Make your way to a workshop in the heart of Lyon where you'll join a small group of up to 8 participants for a cooking class lead by a professional chef. With the guidance and oversight of your instructor, you'll create 3 delicious recipes of typical Lyonnaise cuisine, and afterward you'll get to taste your own creations for lunch, paired with a glass of red or white wine. Bon appetite! Lyon is the revered food capital of France, and with that it has a very unique culinary scene, including "bouchon" bistros, which serve traditional Lyonnaise fare. This evening, perhaps set out independently and enjoy the authentic delights of one of the many bouchon bistros in Lyon. With your private driver-guide and vehicle, set out for a full day along the Rhone for an oenological and gourmet experience that combines both wine and chocolate. 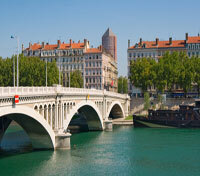 To the south of Lyon, the Côtes du Rhone vineyards stretch along the length of the river. The hillsides form a magnificent landscape and offer breathtaking views. You'll head to the city of Tain l'Hermitage at the bottom of the iconic Hermitage Hill, where you'll be treated to a wine tasting as you learn about the history and winemaking process of the Cave de Tain vineyard. In the afternoon, you'll visit the multi-sensory Valrhona Cité du Chocolat, the ultimate place for chocolate exploration and knowledge, where you'll get to taste, learn, and take home some of the secrets that have made Valrhona the standard bearer in the chocolate industry. Continue to the northernmost vineyard in the Rhone Valley, Cote Rotie, featuring one of the best reputations. With its steep hills and vineyards planted on terraces, this wine-making area will delight you with its unique charms before returning to Lyon.